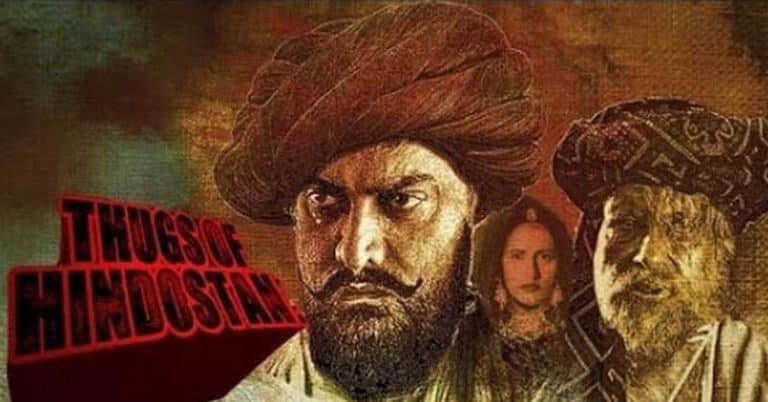 One of the highest budget movies of India, Thugs Of Hindustan did well in the Box office for the initial few days. Overall the movie was quite decent, but there are some flaws that make this movie look bad. The movie has an amazing story but lacks in the narration. Here we are going to see Thugs of Hindustan Review in Detail. Every character in this movie plays an important role. Amitabh Bachchan played the main character of this movie Khudabaksh. Khudabaksh character is the high light of the movie until Firangi Malla enters. Firang Malla played by Aamir Khan is the leader of a small-time gang and is hired by British to spy on Khudabaksh gang. Aamir Khan has produced many wonderful performances over the years, but this is one of his best performances in action scenes. As usual, Amitabh Bachchan’s performance is rock solid in this movie, particularly his dialogues are a highlight to this movie. This movie has the best combination of Actions, Dialogs & Humor, which are well appreciated by the audience in theaters. Vijay has done a great job as a Director by showcasing every characters life to their fullest. The Movie is slow for the first 30 minutes or so, But after initial lul, the movie really takes off. The director could have done a better job in the first 30 minutes, considering how well he has managed the later part of the movie. Yash Raj Films has done an excellent job in producing very natural looking VFX scenes, unlike many other earlier Indian movies. This movie narrows down the gap between Indian and Hollywood movies as far as the VFX is concerned. The word is that some of the teams worked for Bahubali 2 also worked in creating the VFX for this movie. The initial 30 minutes of this movie is quite slow and boring. In our rating, the movie has scored 3.3 in the overall performance. This movie has an amazing Direction and Screenplay, whereas Visuals would have been better. To know more about Thugs of Hindustan Movie rating, check the below table. This is the second collaboration of Aamir Khan with Katrina Kaif under Vijay Krishna Acharya after Dhoom 3. The highest budget movie produced by Yash Raj Films with a budget of 300cr.